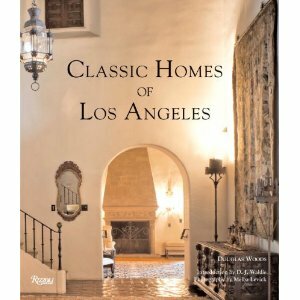 Los Angeles is one of my favorite cities in the country, so Rizzoli's new book Classic Homes of Los Angeles by Douglas Woods is an absolute treat for me. It features photographs of stately properties with a rich history, boasting architecture spanning styles ranging from Spanish Colonial to Georgian. Each home featured is accompanied by a profile, which offers context on its design and history of how it came to be. There's also something very special about the imagery throughout the book. The photos really pull you in and the level of detail is both satisfying and impressive. Great gift idea for the LA fans in your life. Z Gallerie is one of my go-to outlets for chic, affordable household furnishings. While browsing through its website the other day, I came across this beauty. 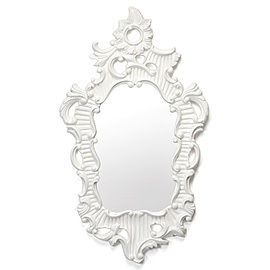 The white finish of this mirror gives it a fresh look and the elegant detailing makes it most suitable for a closet area. And you can't beat the price--$349. Buy it here.